Our Basket Weave Organic Thermal blanket will warm up and dress up your massage table and provide just the right level of warmth for your clients experience. 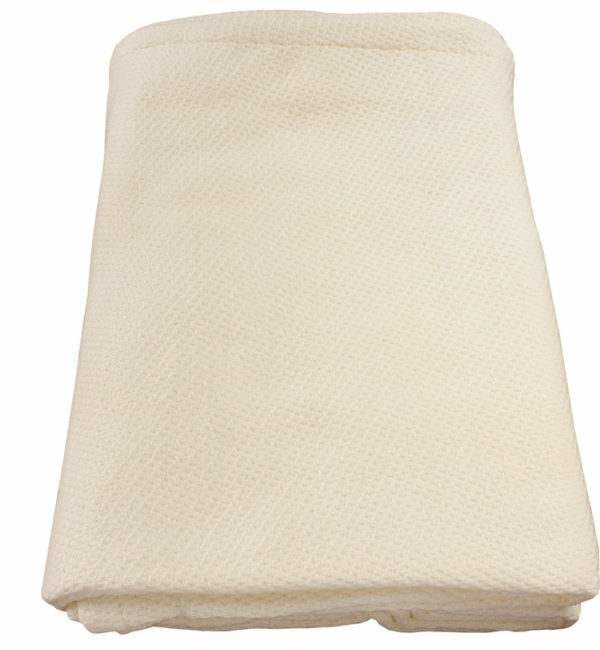 This blanket is made of 100% organic cotton and generously sized at 66×90 inches. Our Basket Weave Organic Thermal blanket will warm up and dress up your massage table and provide just the right level of warmth for your clients experience. The blanket can be washed on a warm gentle cycle and dried on low or medium. The blanket is as attractive as it is soft and don’t forget organic too! You can be safe in the knowledge that you are helping yourself and the environment. A spa must have! This blanket is made of 100% organic cotton and generously sized at 66×90 inches so great for clients of all shapes and sizes.